Since Friday when he was at a real low he has perked up somewhat and importantly his kidney's seem to be working better and he (and the antibiotics) are fighting the infection in his lungs. Jeff Waters is extremely ill in Middlemore hospital and the current situation with Jeff is not good. He has cancer of the esophagus, his kidneys are not working properly and he has pneumonia. Jeff Waters is back in Middlemore Hospital, ward 32 North room 222. Jeff is putting on a brave face and has a positive attitude. Veterans who served New Zealand in the Korean War are invited to register expressions of interest in attending commemorations to mark the 60th anniversary of the Korean War Armistice, in the Republic of Korea in July this year. A service for Brig Harry Honnor will be held at St Paul’s Anglican Church in Paihia at 1300hrs Friday 8 Feb, and after at the Paihia RSA. Harry will be buried in the RSA section of the Paihia Cemetery – 161 Bty providing the full military honors for the family. Brig HB Honnor CBE MVO died mid evening last night, in Whangarei. Brig Harry had a distinguished career as a gunner, serving at both the Battle of Kapyong and the Battle of Long Tan, and in a number of key gunner appointments. Graeme Black has been tasked with contacting all 161 Bty personnel with a view to holding a 50th Anniversary Reunion of the Report "Single Gun Ready". This Reunion will be held as close to 15 July 2015 so it will be the weekend before or after 15/7. Tim Walsh is attempting to establish travel plans of any NZ Veterans that will be travelling to Vietnam around ANZAC Day this year so that we might consider how we could engage with them and appropriately recognise them. 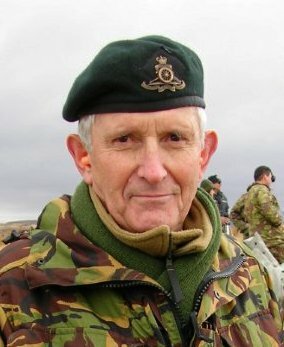 We regret to tell you that Brig Harry Honnor is ill and in Auckland Hospital, where he had a leg amputated above the knee due to some problems in the lower leg. He is recovering sufficiently that he will go back to Whangarei Hosp in the next couple of days. We understand Jeff is in Middlemore Hospital and we wish him well. We have just learnt that Tom Wagstaff passed away in Northland on Sunday 20 Jan 2013 aged 94 years. Greetings and best wishes for the festive season and for 2013. The December 2012 issue (156) of The New Zealand Gunner is now available on line.